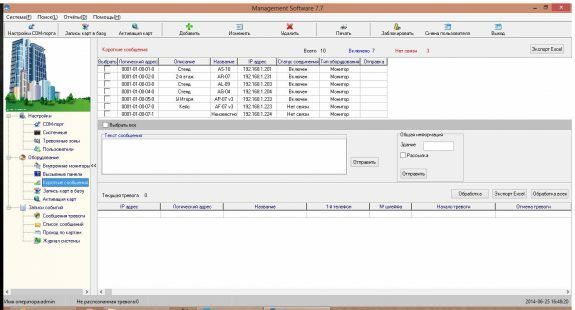 Software “Management Software v 3.0” is a utility, developed by BAS-IP company for a comprehensive solution of issues which occur while working with security systems of residential and office complexes. Statistics loggingStatistics logging on access points on tapped contactless cards. 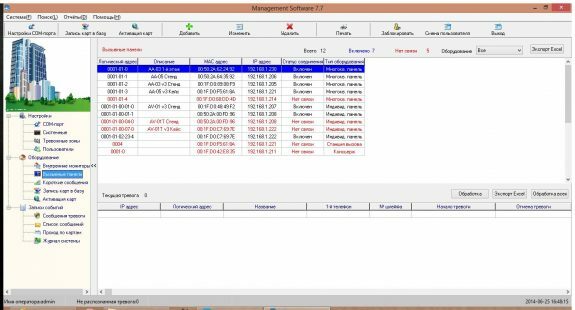 Accounting and statistics on sent short messages to internal monitors. 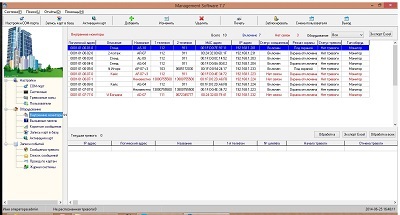 Accounting and statistics on the current security mode and time setting of all system monitors in this mode. 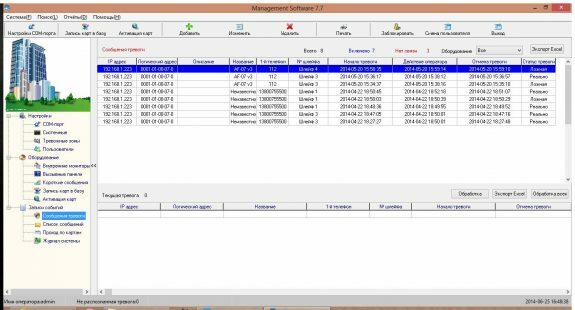 Accounting and statistics on the alarm loop status of every system monitor, time setting on the alarm, time removing alarms, time triggering alarm and alarm duration.